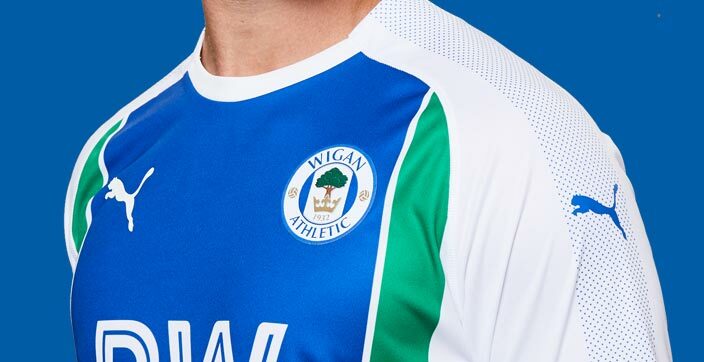 Wigan Athletic put their unbeaten home record on the line in the live televised match on Friday night against fellow high flyers Bristol City. Buoyed by Tuesdays win over Hull City, Paul Cook’s men will be looking for a fourth home win of the campaign (and 13 points from a possible 15) which will be their best ever start to a Championship season at home with only Nottingham Forest leaving The DW with anything after a late penalty resulted in a 2-2 draw back in August. The Robins make the long trip north off the back of a defeat in midweek against West Bromwich Albion at The Hawthorns but with five straight wins prior to that defeat they will still arrive in town full of confidence and sitting 5th in the table, so they should. The prize for either side will be to move into third place in the early season table before the rest of the sides take to the field over the weekend. Tuesday night was another end-to-end contest that really could have gone either way with Hull taking control early on and probably finishing the contest the stronger of the two sides, but we took our two big chances in the game as we did at Stoke and then managed to hold tight defensively. I’m still a little concerned with how easily sides seem to create chances against us. Taking the Brentford game out of the equation as we were well beaten down at Griffin Park, sides have had 25 shots on target against us this season according to BBC match reports. Granted that is only an average of 3.5 per game so I am probably being slightly harsh especially considering we have clearly tightened up defensively since the Sheffield Wednesday and Aston Villa games but I do worry that we are being opened up a little too easily and the better sides in the division such as your Brentfords, Leeds, Middlesbroughs and West Broms will punish us. We are more than holding our own at the moment though and look far stronger so far this season than in our last two seasons at this level. Despite their defeat on Tuesday night, I actually think that they are up there as one of the best sides in the league. They played some really good football last season and were unlucky to fall away a little towards the end of the season and miss out on the playoffs, but an 11th placed finish was not to be sniffed at and I think we would all take a season this year similar to theirs last year. Paul Cook has confirmed in his pre-match press conference that there will be changes from Tuesday night with some players struggling with knocks. I expect Will Grigg to be one of the starters from Tuesday that won't start tomorrow as he looked to have a knock when he was replaced by James Vaughan who will probably start in his place. "We'll have players missing tomorrow night, but I won't got into that in too much depth. Tuesday night has taken its toll on a couple of the lads, but it is what it is and it gives other lads opportunities to come in. Would we change the team Saturday-Tuesday-Friday regardless? Probably, yes." "We're going to have some enforced changes and that will be decided today (Thursday) and then we look forwards to how we want to play and how we can win the game." It was pretty surprising to see when I was researching the game that this could be our best ever start to a season in the Championship at home. The two seasons under Paul Jewell saw us pick up 11 points from a possible 15, which we matched under Owen Coyle in 2013 and would also match with a draw tomorrow night. The way we have attacked sides this season does bring back memories of those sides under Paul Jewell (definitely no memories of Coyle) and if we could just become as defensively dominant as we were back then then the playoffs may be well within our reach come the end of the season but if I’m honest, I would still happily take 21st. Speaking of Paul Jewell and his dominant Wigan Athletic sides, a 2-0 win over Bristol City in August 2002 sent us top of the table, a position that I don’t think we relinquished as we stormed to the then Division 2 title. Goals from Scott Green and Lee McCulloch were enough to see off The Robins who had defender Danny Coles sent off by official Uriah Rennie for a shocking challenge on Nathan Ellington.